As I’ve previously written, transitional alimony is support paid by a former spouse to the other spouse for a specified amount of time when one spouse needs some time to adjust to new financial realities and circumstances after divorce. The facts of Kerrie Janel Wade v. Vernon Franklin Wade are Kerrie (Mother) and Franklin (Father) were married in August 1992, when Mother was nineteen years old and Father was twenty-six years old. Four children were produced of the marriage. Three of the children were minors when Mother filed a complaint for divorce in the Chancery Court of Benton County on May 4, 2012. In her complaint, Mother alleged irreconcilable differences and inappropriate marital conduct. She asserted that the parties’ children resided with her and asked to be named primary residential parent of the children, for Father to be awarded reasonable visitation, for child support pursuant to Tennessee guidelines, for an equitable division of the parties’ personal property and debt, and for approval of any marital dissolution agreement that the parties might file. The parties and their children resided in the same household when Mother filed her complaint, and the children were home-schooled by Mother. Father filed a counter-complaint denying Mother’s allegations of irreconcilable differences and inappropriate marital conduct and asserted that the parties’ two older children resided with him. He asked to be named primary residential parent, admitted that he was able to provide financially for the children, and denied that Mother was entitled to attorney’s fees. He counter-claimed for a divorce on the grounds of cruel and inhumane conduct and adultery, and asked for child support pursuant to Tennessee guidelines. Father also asked that all the parties’ real and personal property be awarded to him, for attorney’s fees, and for costs. After hearings in November 2013, by order entered January 6, 2014, the trial court awarded Father a divorce on the grounds of inappropriate marital conduct and adultery. The trial court designated Father primary residential parent of the parties’ three minor children, adopted his proposed permanent parenting plan, and lifted a June 2012 no- contact order preventing Mother’s lover, Sharon “Deanie” Richardson (Ms. Richardson) from having contact with the parties’ children. The Permanent Parenting Plan shall include a paramour provision stating that neither party may have an overnight guest at their residence with whom they have any type of physical or romantic relationship, other than with someone to whom they are legally married as recognized by Tennessee law while they have any of the parties’ minor children at their respective homes. The trial court determined that, “due to the economic disparity between Father and Mother,” Mother was entitled to a downward deviation in her child support obligation, which it reduced to $0 for an eighteen month period to begin on December 1, 2013. The trial court ordered that after the expiration of the eighteen-month period Mother would pay child support to Father based on the parties’ income. The trial court declined to award alimony to Mother upon finding that Father does not have the ability to pay alimony and that, because Mother was no longer homeschooling the parties’ children, her “impediment to earning an income” was removed. 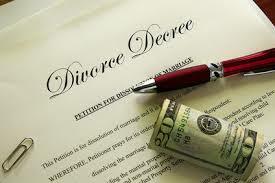 The trial court also based its determination to deny alimony on the degree of fault it assigned to Mother. It approved the property division established by the parties’ marital dissolution agreement (MDA); denied the parties’ requests for attorneys’ fees or discretionary costs; and divided the costs equally between them. In February 2014, Mother filed a motion to alter or amend the final decree of divorce pursuant to Rule 59 of the Tennessee Rules of Civil Procedure. In her motion, Mother asserted that the trial court erred in naming Father primary residential parent and that it was in the best interests of the children to designate her as primary residential parent; that the reduction of her parenting time was not in the children’s best interests; that removing the two youngest children from homeschooling and placing them in public school was not in their best interests; that the “paramour provision was one-sided” and in violation of her constitutional rights; and that the trial court erred by failing to award her alimony. The trial court heard Mother’s motion in April 2014 and partially granted it by order entered May 19, 2014. In its May order, the trial court amended the paramour provision to apply only to Ms. Richardson “after careful consideration of (Ms. Richardson’s) mental stability and potential effect upon the children.” The trial court ruled that Ms. Richardson could “not be present overnight during the Mother’s parenting time,” but that she “may be present at any other times and may interact with the children at other times under the direct and present supervision of the Mother.” The trial court otherwise affirmed its previous judgment which included designating Father as the primary residential parent of the parties’ three minor children and denying Mother’s request for alimony. Whether the trial court erred in designating Father as primary residential parent of the parties’ three minor children. Whether the trial court erred in failing to award Mother rehabilitative and/or transitional alimony. The Appellate Court affirmed the trial court’s designation of Father as the primary residential parent of the parties’ minor children, but reversed the trial court’s judgment denying Mother’s request for alimony and remanded the case back to the trial court to come up with an award of transitional alimony to Mother for a period of eighteen months. In light of the totality of this record, including the economic disparity between the parties, the length of their marriage, and Mother’s contributions as a homemaker and homeschool parent for nearly twenty years, we conclude that the trial court abused its discretion by denying Mother’s request for transitional or rehabilitative alimony for a period of twelve to eighteen months. We find an award of transitional alimony for a period of eighteen months is appropriate in this case. We reverse the trial court’s judgment insofar as it declines an award of alimony to Mother and remand this matter for further proceedings to determine the amount of transitional alimony to be awarded in light of the economic equities and the division of the parties’ property. If you feel you have been treated unfairly or your rights not realized as it relates to financial hardships post divorce, and believe you should be awarded transitional alimony, you should seek the services of an experienced family law attorney. Contact Jim Widrig or any of the attorneys at Widrig Law, PLLC to schedule a free consultation. Our phone number is 615-417-7800.